As part of our Discounted Histories exhibition, we have been exploring the impact of retail on local and national culture, from the original trade routes that dotted the Canadian landscape to the corporate giants of the industrial and digital age. 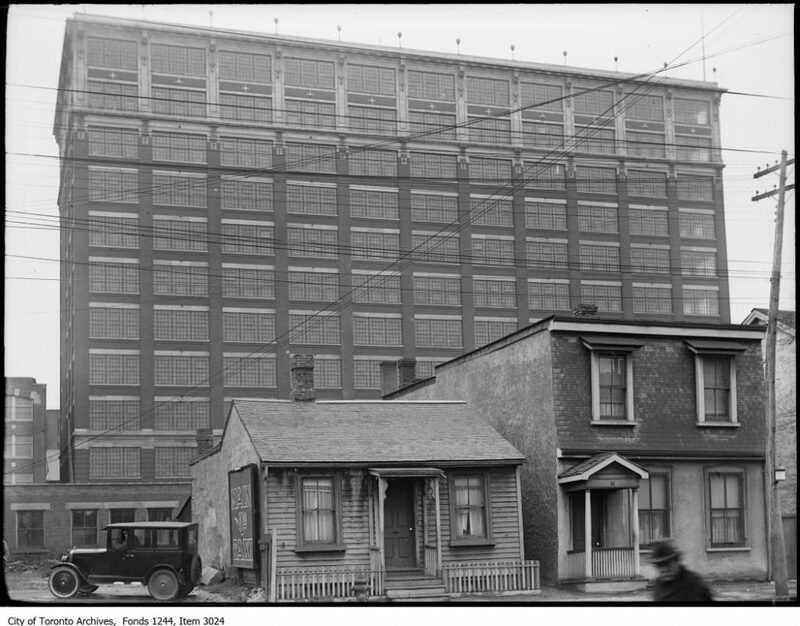 Few companies have made as profound an impact as the T Eaton Company Limited, or Eaton’s, a small dry-goods store that turned into one of the most important enterprises in Canadian history. 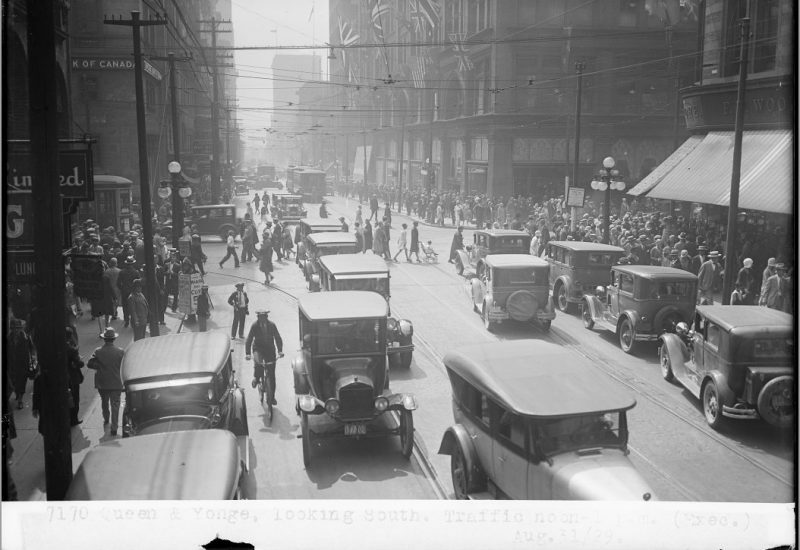 The Yonge and Queen intersection was, and arguably still is, the Mecca of all department store shopping in Toronto. With Eaton’s occupying the north side of Queen, and Simpsons on the south, these two stores occupied territory that is now part of the larger Eaton Centre complex. Without Eaton’s, there would be no Eaton Centre. 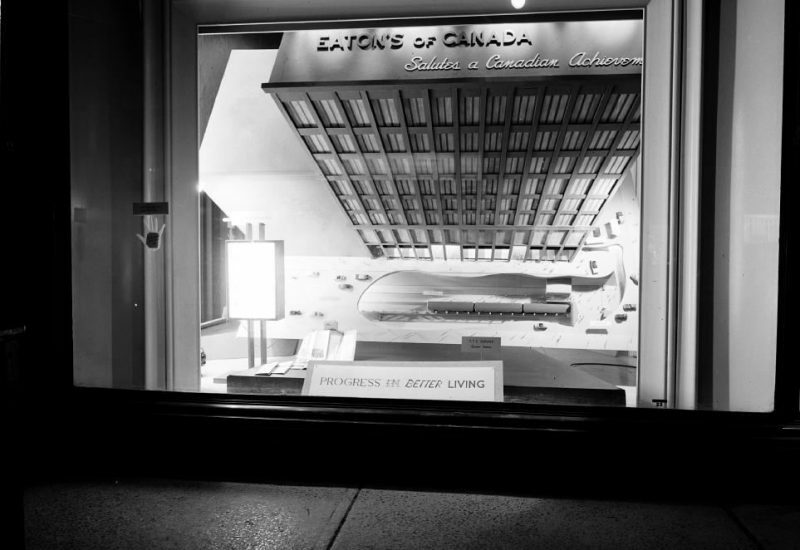 But you may be surprised to hear that Eaton’s made pioneering innovations that helped them grow from a small storefront into the largest retailer in Canada, and one of the standard-bearers in the golden age of retail. In fact, Eaton’s improved upon delivery and point-of-sale retail operations as a whole, as well as on marketing, product design, store layout, and customer satisfaction. The Evolution of Eaton’s. It took decades for Eaton’s to grow into a retail empire, but the innovations made along the way distinguished them from competitors. They also tried, tested, integrated, and sold a variety of cutting-edge technologies before their mass adoption. 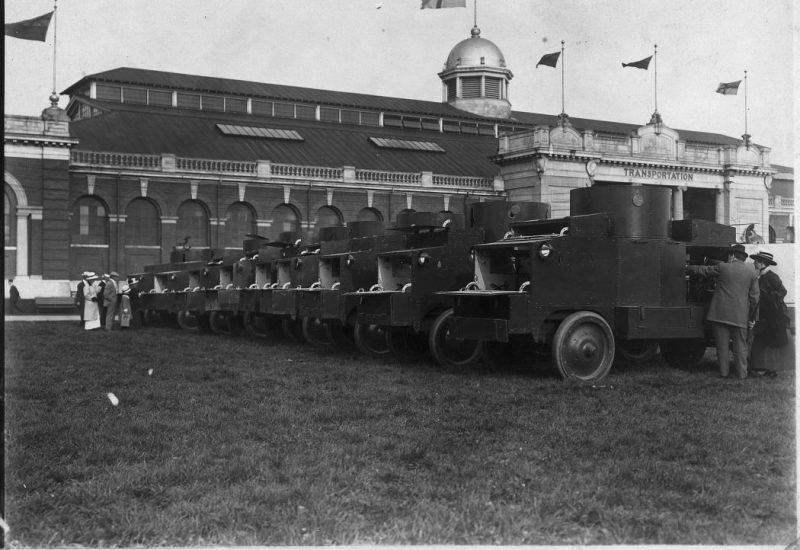 Eaton’s adopted motorized delivery trucks and pneumatic tube systems for their offices; they offered thousands of products in their mail-order catalogues including prefabricated houses; they even purchased a series of armoured cars for a division of the Canadian Expeditionary Forces during World War I. 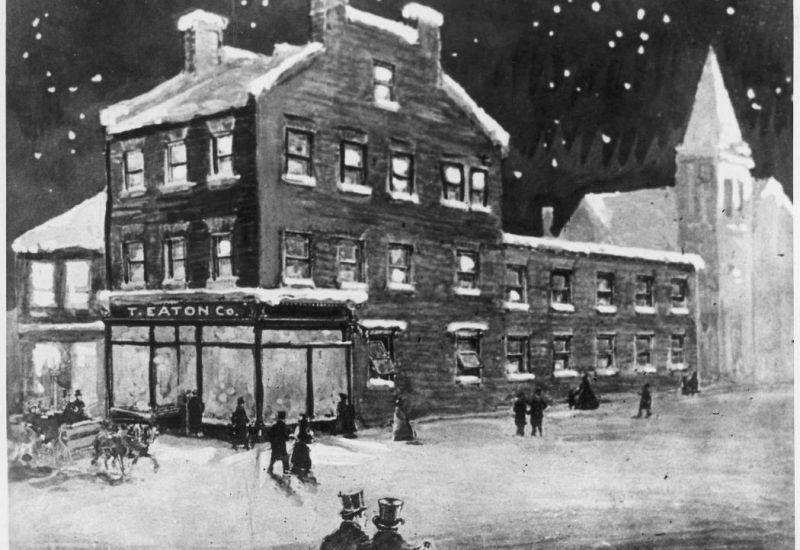 Before permanently changing Canada’s retail landscape, the Eaton empire began with a simple idea from a man who was willing to try something slightly different. Timothy Eaton was born in Ballymena near Belfast in present-day Northern Ireland. As a teenager, Eaton apprenticed for a drapery company and learned first-hand the challenges of the modern textile and garment industry. The work Timothy put in as a draper would prove valuable given the eventual growth of the Eaton’s factory complex into one of the largest producer of textiles and goods in North America. Having first opened a general store in Western Ontario to relative success, Eaton settled on property owned by The Elm Street Methodist Church, a small lot located at 178 Yonge Street, right at the Queen St. intersection. In 1869, the T. Eaton Company opened to little fanfare, but Eaton’s dry goods business grew to become far from ordinary. 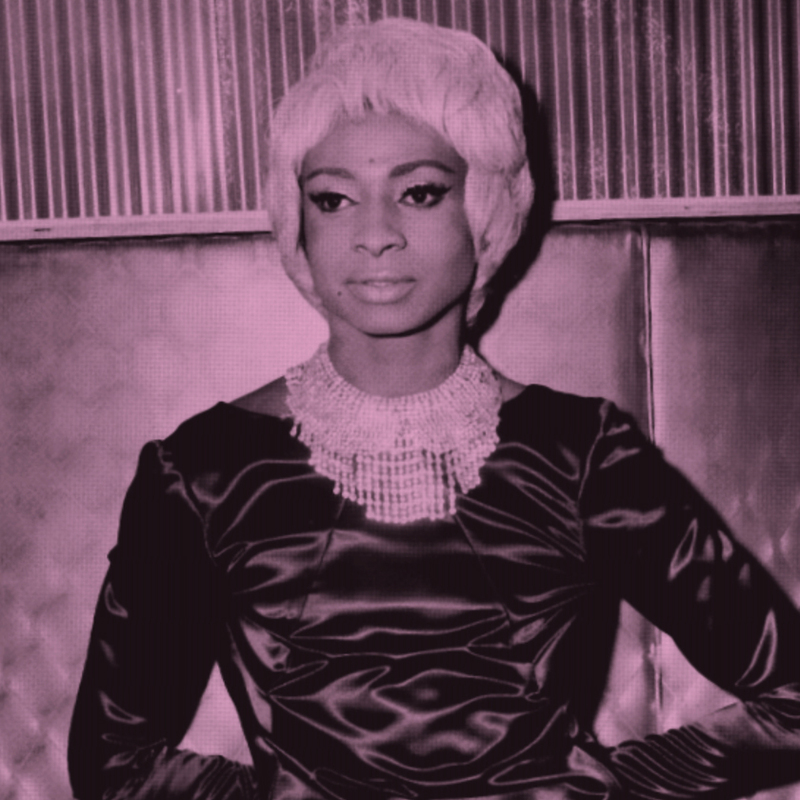 Critics maligned Mr. Eaton as a “faddist” who opened a store that was “not founded for the fashionables”. At the time, the wealthy traveled less on Queen Street because it did not possess carriage lines. Far from being concerned, Eaton made a bold statement about who his clientele could and would be. Instead of turning their noses to the city’s working and middle classes, they offered them the luxury department store experience at a discount. In 1869, the T. Eaton Company opened to little fanfare. But from the beginning, Eaton’s dry-goods business would be far from ordinary. Eaton also set up a strict cash-only policy for a set price. At the time, retailers traditionally sold goods in installments. Long-term credit and purchasing installments were common at the time, and that for customers lacking wealth or reputation, buying high-end or high-quality goods could be a problem. Eaton’s turned this idea on its head. All the buyer needed was cash, no questions asked. The store, however, would be the one with a reputation to uphold. As Eaton’s expanded its operations across Canada, they continued to explore new ways of serving their clientele. 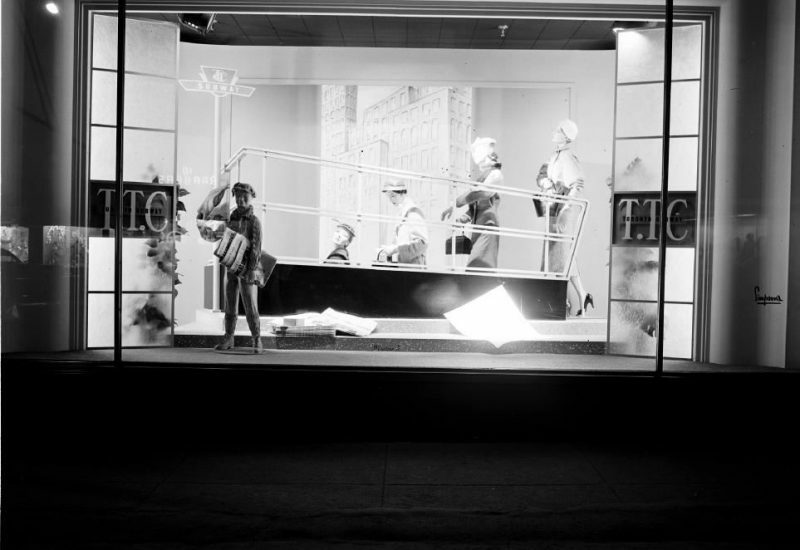 In their flagship store alone, Eaton’s established a candy factory, optical services, interior decorating advice, shopping advice, wig cleaning, party supplies, as well as on-demand assistance for the physically disabled. Perhaps the most important innovation offered by Eaton’s at the time was its order service, run primarily through the Eaton’s Catalogue. The operators who stood by to take in both mail and phone orders were the backbone of one of the most advanced logistical undertakings of its time. The Homesteader’s Bible, as the catalogue was known in Western Canada, became nothing short of household name across the country. 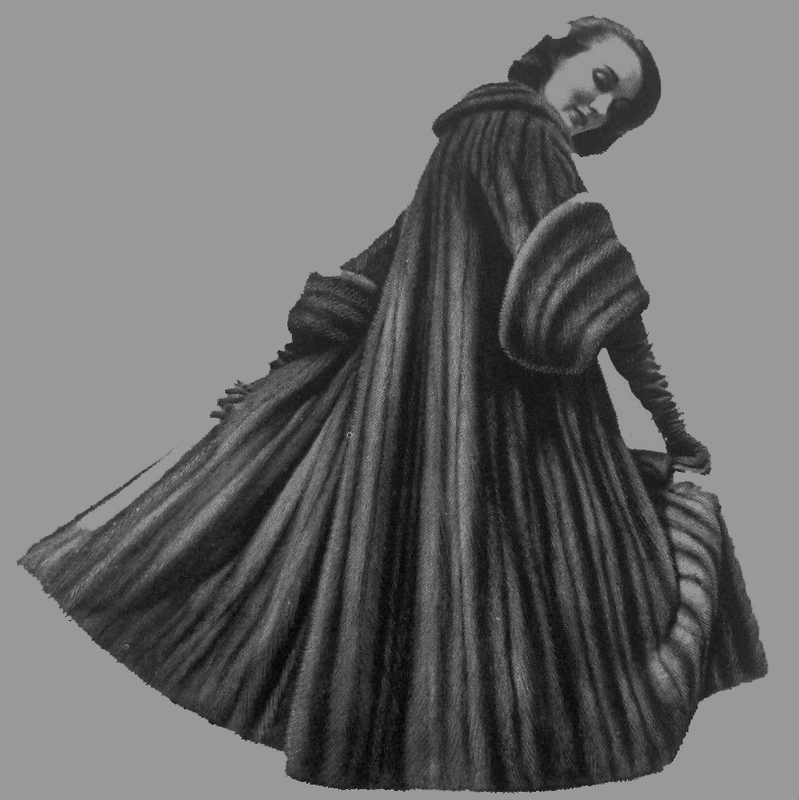 Far from being a mere pamphlet, up to 130 staff worked on the catalogue at once, with many of the goods portrayed as hand-drawn illustrations, depicted with pertinent terminology, and advertised to fit the overall look, feel and design the store saw fit to promote. She started to leaf through the catalogue the Eaton company sent us in the mail every year. My mother was proud. She didn’t want to buy our clothes at the general store; the only things that were good enough for us were the latest styles from Eaton’s catalogue. The narrator also explains that his mother contacted Mr. Eaton personally, which would be highly unlikely given the sheer volume of orders taken every day. 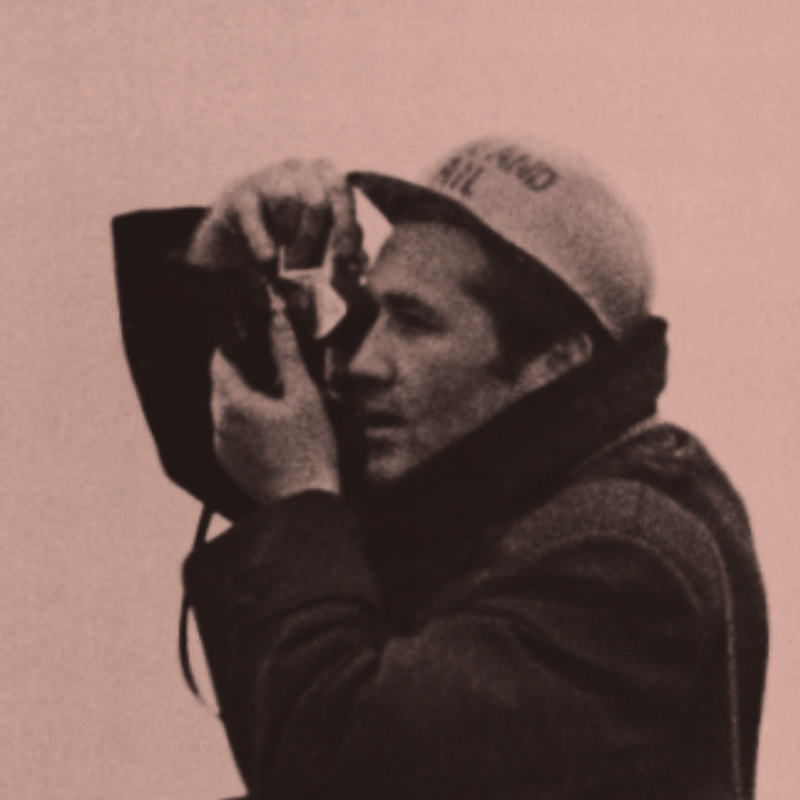 That catalogue became the chief disseminator of its products, its policies, but most importantly, its culture. 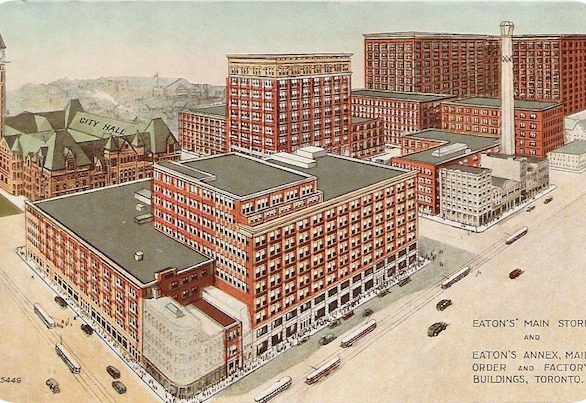 Not only did Eaton’s serve as a hub for generic goods and clothing, they also sold entire ways of living. In their Western Canadian version of the catalogue, Eaton’s offered fully-designed homes with all the materials delivered to the buyer. Farmers seeking their own plot of land in the expansive Canadian wilderness could choose from a selection of house models, all of which were prefixed with ‘ea’. The Canadian Museum of History indicates that you could either choose the Eatoncourt, Eastbourne, Easton, Eager, Earlswood, or Earlscourt models. 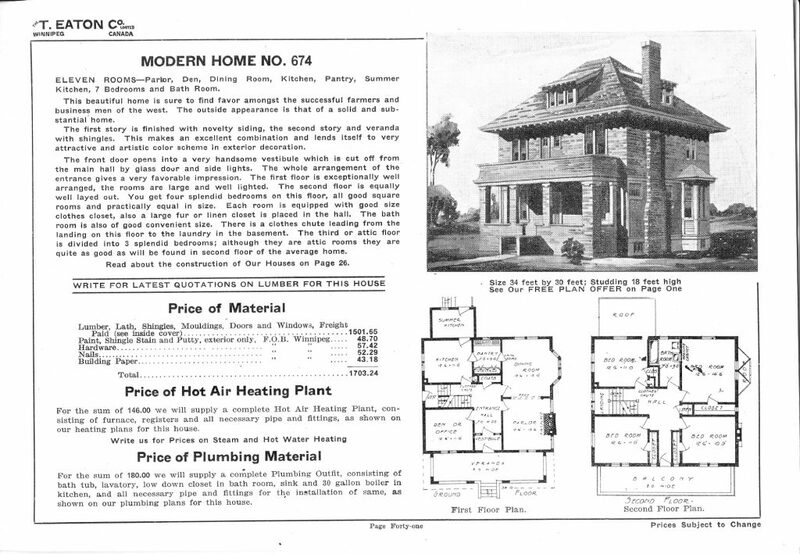 In the 1910s, the typical mail-order home cost approximately $900, with extra charges incurred for the shipping of small materials, plumbing and heating. Following the death of Timothy Eaton in 1907, his son Edward Eaton took charge of improving operations within the Eaton’s complex. If Timothy built the machine, Edward kept it well-oiled. Part of this included expanding the number of Eaton’s stores across Canada, as well as expanding the reach of the catalogue. He also, however, introduced a memorable pneumatic tube system that transferred cash, letters, and documents around the massive complex. The pneumatic tube system automatically conveyed cash from the counters to the basement where all of the money would be collected. One Eaton’s employee noted that the cash carrier made a distinctive “swish and thud” that could be heard throughout the complex. Eaton’s ability to handle volume as seamlessly as possible helped expand their retail ambitions in all directions. This also included a motorized delivery service coinciding with the rise of the automobile, which replaced human-powered carts and horse-backed carriages. During the first two decades of the twentieth century, motor cars were a luxury few could afford, but Eaton’s saw their potential from a commercial point of view. Few could imagine just how important the automobile would be to urban life—but Eaton’s constantly sought to be ahead of curve. They briefly sold their own car model to consumers through their stores and catalogue. Salespeople soon learned, however, that cars required consistent maintenance and lessons for drivers, so the venture could not last. That being said, electric car company Tesla Motors recently drew the ire of car companies by offering direct-order services through their website. Once again, we can see how Eaton’s attempted to remove hassle from the purchasing process, almost to a fault. 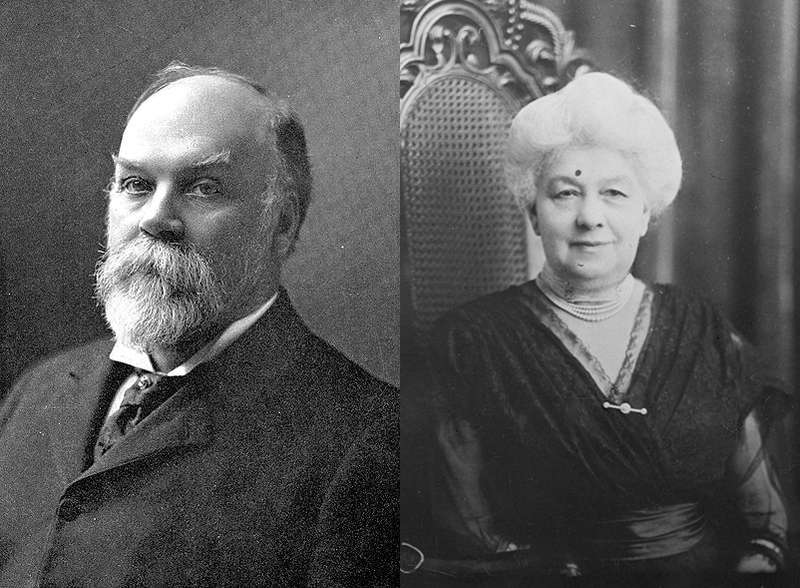 Eaton’s certainly benefited the civilian population and their employees, but their contributions to the military aspect of Canadian life were also significant. During the First World War (1914-1918), Eaton’s provided everything from uniforms to equipment at cost for soldiers overseas. The company was invested heavily in the war effort, as over 3,000 of their employees enlisted to fight on the Western Front. 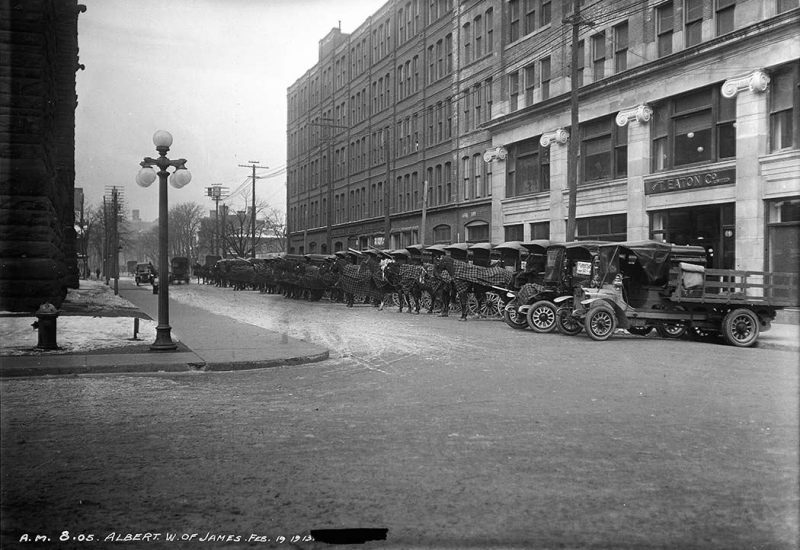 When the war ended in 1918, over 1,300 soldiers resumed work duties at the flagship location in Toronto. Edward brought the department store into the 20th century with a kind of innovative mindset seen in today’s largest e-commerce companies. Eaton’s also worked hard to position their brand as being synonymous with Canada’s patriotic ideals. 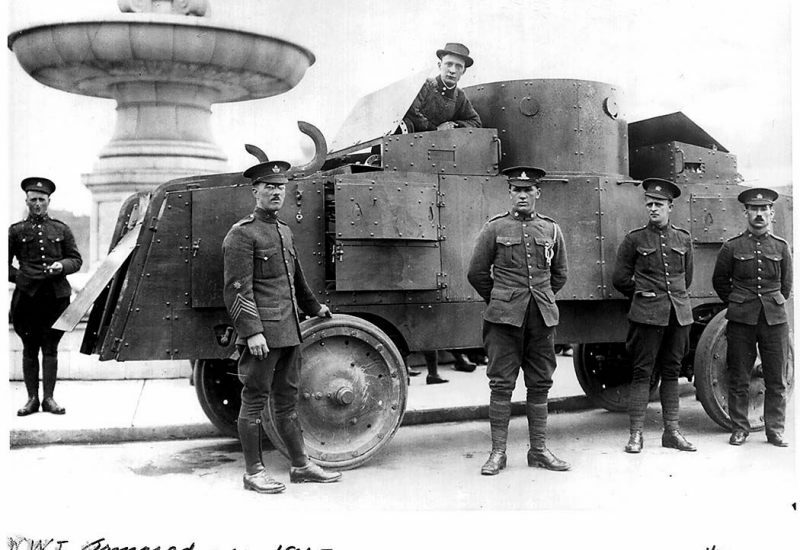 One of the more surprising items financed by the Eaton company were 15 motorized armoured trucks with mounted machine guns. The vehicles, which looked like a small submarine on wheels, struggled to adapt to the muddy trench warfare, broke down at high speeds and offered little maneuverability. In 1916, though, British Army officer Ernest Swinton introduced the tank, which would see combat on the Western Front by the end of the war. 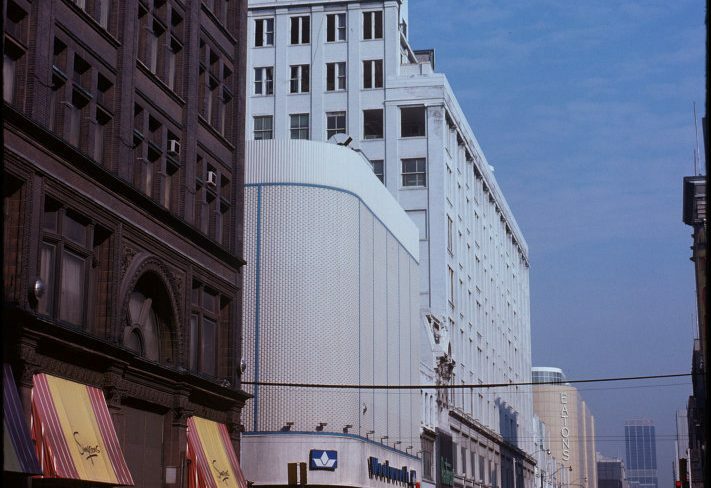 In 1999, 140 years after opening their flagship store in downtown Toronto, Eaton’s declared bankruptcy. Today, retail giants from around the world populate the Eaton Centre complex, and with every year, shopping becomes an increasingly digitized experience, be it through websites like Amazon and Alibaba, or through cashless payments and automated checkout kiosks. As the innovations of the past are forgotten, though, it is far too easy to ignore the ingenuity that turned a Toronto general store into an international giant.